The SCN5 or SCN6 actuators are the most common and best known actuators for a commercial or private simulator. 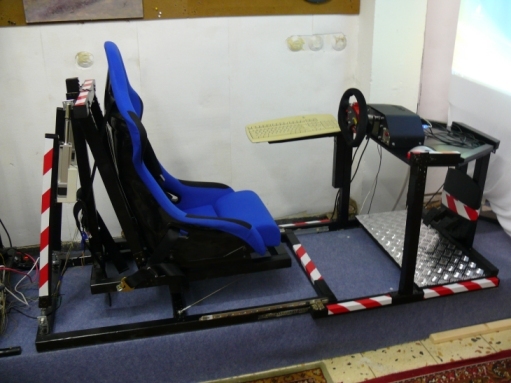 They are build in in many commercial and proffesional simulators. They are tested by many professional racers and have a big press response. They are most common and you are always taken seriosly if you go with this setup. If you own such actuators X-Sim will only pass through the data to them and they will do the rest as in proffesional tested simulators. X-Sim itself offers a wide range of different setups for this actuators. Of course, you do not need them in the first steps but you will love the details if you got into it. The SCNx actuators are of course expensive compared to DIY actuators. However you have less setup work and the best feeling for this money. This actuators are simple to connect and need less service time. They are also very silent and usable in a normal private apartment without making the neighbour angry. We at X-Sim.de do not sell this expensive actuators and cannot give warranty for this devices. It is highly recommended to buy them directly at the official reseller in the world. He is informed about this forum and the members which like to get a professional device with very less money. In the first step you can try to get some old SCNx actuators from eBay or sometimes from this forum. Simple search for SCN5 in eBay or visit the private marketplace of this forum. Be carefully with the deals, we give no warranty for the sellers. This is the official reseller for this product worldwide. It is not possible to contact the factory directly. He is very firm with a cheap delivery of this heavy devices in all countries and all the members of X-Sim have positive response with this reseller. You can buy SCN5 100mm or 150mm if your weight is below 90kg. 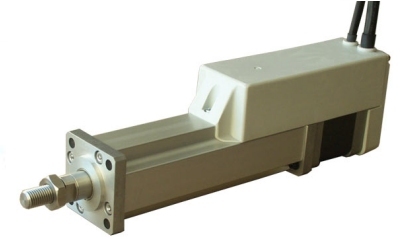 Some are using the actuators with a weight of 100kg but it is recommended to look closer for the SCN6 actuators. – some fitting connectors to avoid the warranty loss and the needed cables. The wiring is described in details in the hardware thread below. – for each SCN5 actuator you will need a power supply with 24V and 3A . If you search for a switching power supply you may get one with a bif inrush current which can destroy your actuator electronic. It is better to get transformators out of halogen light equipment or from DIY shops like pollin, reichelt or conrad electronic. Some members have also managed to find a good single power supply for two actuators. Please read this thread for details how yu can wire the SCN5 actuator to X-Sim. We support unlimited SCNx actuators connected to the PC. This means you can not only build a 2DOF racing seat, you can add a third axis some time later if you like to increase your degree of freedom. If you own a pair of SCN5 actuators you can build a simulator around them like many did before you. Do not think you need a plan to build such a simulator, simple build it. Start with a chair and follow the guideline of your woodcrusher sample simulator with your favorite material.